One of the biggest driving forces among businesses today is the advent of E-commerce based websites allowing every day people a streamlined and easy to manage website store for showcasing and selling of their products worldwide. This all-encompassing approach to digital sales includes customer and product management solutions, accounts, shopping carts, checkout systems and payment gateways all combined into one powerful, yet easy to manage user interface. E-commerce can be found in many of today’s popular platforms from WordPress integrated with WooCommerce to Magento, OpenCart, ZenCart, PrestaShop and beyond. Other alternatives are 3rd party managed websites which carry monthly subscriptions and are owned and managed under a separate authority however the design and website use is handled by you. At Website Wizards we offer E-commerce solutions on all of today’s popular platforms for clients wanting to list and sell products on the internet market. We can assist you in finding the correct E-commerce solution for your unique needs and products and offer complete, professional quality design work at affordable prices. Easily build and manage a website store while reaching a global market. Check product inventory, offer customizable features, product categories, special offers and much more. Track customer orders, shipping details, shopping carts and reviews left with integrated customer management systems. Accept and track payments with payment management systems from PayPal, credit card processing or any other 3rd party payment system. Completely manage your E-commerce store with the administrative console logged into by your special admin account. Training provided. There are two fundamental approaches to running and managing your own E-commerce store. Both options offer slightly different benefits based on your desired goals. Although a slightly more complex topic then what we will cover, you can think of a self-managed E-commerce website as a traditional website like any other. You would pay for hosting, domain name and the websites design which includes installation and setup of the E-commerce portion of the website as well as the typical web pages found on any website. With this design option, once complete, you are left with website and E-commerce store without the monthly fees associated with 3rd party managed websites that can get rather expensive month to month. If your plan is to establish and continue running a webstore long-term, the best choice is to have a self-managed website and E-commerce store. Self-managed websites offer you as the owner the greatest amount of control over your digital business investment. For more information on starting a website development project, please see our getting started guide for helpful information and tips. An E-commerce store managed by 3rd party normally means paying a company a monthly fee and in some cases commission on sales and in return your provided with a domain name, hosting space and basic design tools to attempt to build a website on your own. This option is an ideal solution if you want the least amount of investment in a short-term test of your products. However, if you plan to run a website store for many, many years to come, the monthly costs and other fees may soon add up to be a costly alternative to self-managed traditional websites. Another drawback is most people lack the understanding in website design, critical page locations and basic SEO skills which results in a poorly created final website and store. In many cases, those seeking to succeed in the competitive online market seek out and hire companies like us to design a web store for them on their 3rd party managed site which then makes paying monthly fees even less reasonable verses owning your own website flat out. Pay nothing down to start your E-commerce website design project. Our E-commerce websites automatically adjust to different screen sizes and screen rotation. E-commerce websites designed around your products that stand out from the competition and offer easy to manage administrative consoles for maintaining and tracking products, customers and sales. We offer affordable solutions, after project training and free follow up support to keep you on track. After initial contact we will start by gathering the basic information about your E-commerce development needs. The entire process starts by listening to you, your current business model and products along with future goals, we take all available information and utilize it while building a clear picture of the type of E-commerce website that will best fulfill not only your current business strategy today but for years to come. After we have a E-commerce integrated website design concept for review, we will contact you and arrange a time to perform a presentation. This can be done over phone, skype or email depending on which works best for you. The demo website will be a fully functioning website loaded with demonstration products and content in order to allow you to see first hand the inner workings of the website design and web store layout. After you feel confident in our website design and E-commerce store approach, we begin the process of loading and configuring the design work onto the hosting environment of your choice. If you do not already have hosting, please see our hosting plans which include hosting management at no additional cost. 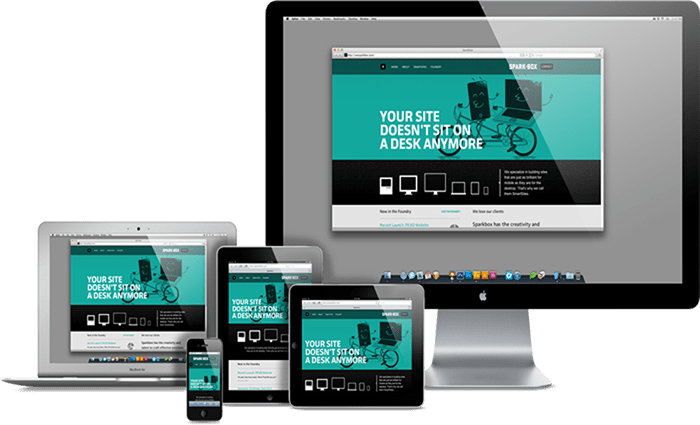 After you begin to see your website store design come to life with your products and vision in mind you will have the confidence that our team has what it takes to meet or exceed your expectations. At this point, now that we have gained your trust, only then do we ask for a partial payment on your website development project. We believe in 110% customer satisfaction which is why we avoid upfront payments on E-commerce development services. We continue working with you one-on-one designing and populating the desired pages of your website store. During this process should you suddenly change your mind about an image or text within pages already completed, not a problem. We offer free basic rework of pages, content or overall formatting during your design project. As we put the finishing touches on your website store, we will arrange a time to train you on how to login, review and manage your E-commerce store. This also includes free email support should you have questions well after your design project is completed. Just because your project is finished don’t mean we disappear into the sunset. We are available during standard business hours to answer questions or provide E-commerce and digital business strategy advice for all of our past clients free of charge. I currently have a website, can I add a web store? Yes, in most cases it should not be too much trouble to integrate an E-commerce solution into an already existing website however in cases where the website was design long ago it is recommended you upgrade your entire site onto a more modern design to keep with ever changing website requirements and SEO practices. How will I collect payments in my store? There is a nearly endless list of payment collection options for E-commerce sites. In most cases, past clients utilize PayPal for payment collections which allows customers to use either PayPal or credit card at checkout. Should you have certain payment processing needs, it is almost a guaranty there is a way to integrate it into your website. Can I hire someone to manage the store? Yes, many businesses including ours offer E-commerce management services tailored around your budget and needs. Which website platform do you guys use? We are accustom with managing and designing E-commerce sites on a wide variety of websites from WordPress, Magento, Joomla or 3rd parties such as Shopify. Do you add the products? We will add up to 5 products with your E-commerce based website design however charge for any additional products. We do provide training, so you can upload and edit your own products with ease. Do you work on site sales commission? No, we do not offer commission based design work at this time.